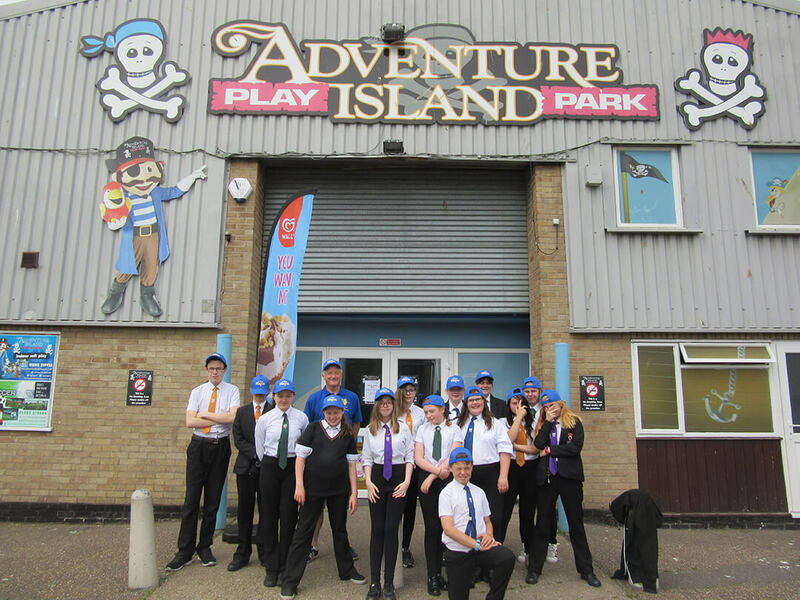 Participants in the Rotary Club of Lowestoft East Point’s Young Carers Project – led by Rotarians Nanna Lay and Bev Sampson – were rewarded with a trip to Adventure Island on 13th June. The project is designed to teach youngsters to cook nourishing food from scratch to help promote long term health and wellbeing. The day out was arranged by Rotarians Ian Davies and Andy Deal assisted by Annette Stringer who took the photograph. Pictured are 14 students from Ormiston Denes Academy before they embarked on a a game of Laser Tag followed by lunch. A well deserved treat for the youngsters.